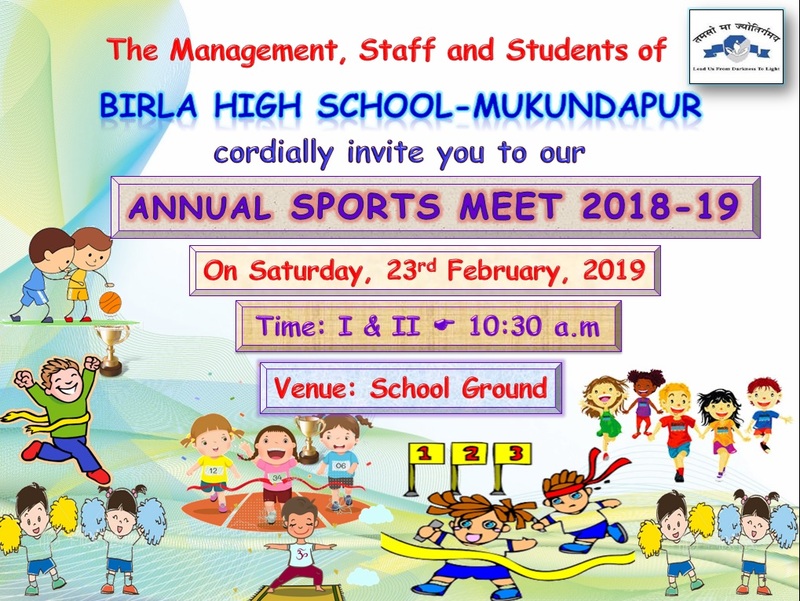 We have organized an Orientation Programme to apprise you with the rules and regulations of Birla High School-Mukundapur on Saturday, 13th April 2019. 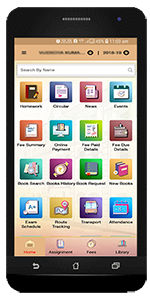 This programme is exclusively for the parents of the new admittees. 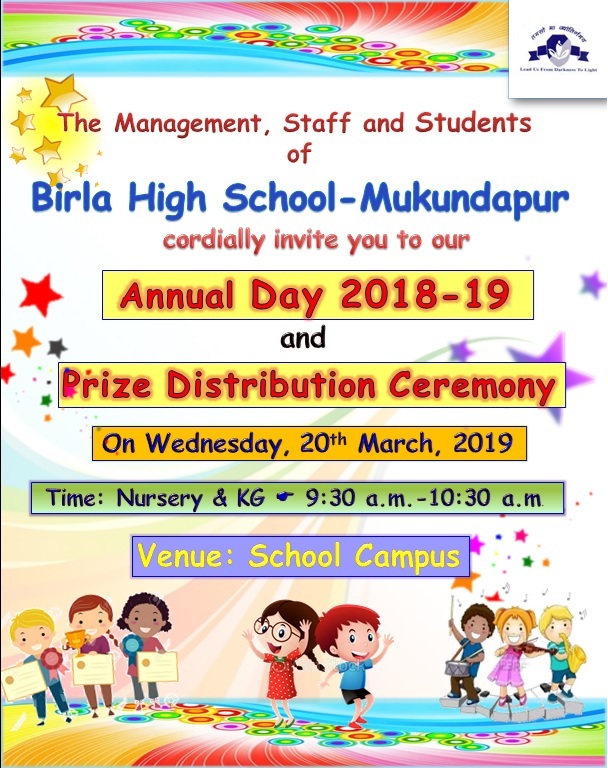 Please make it convenient to attend the orientation programme on the above mentioned date and stipulated time as mentioned against the class. KG to Class VI--10:30 a.m. 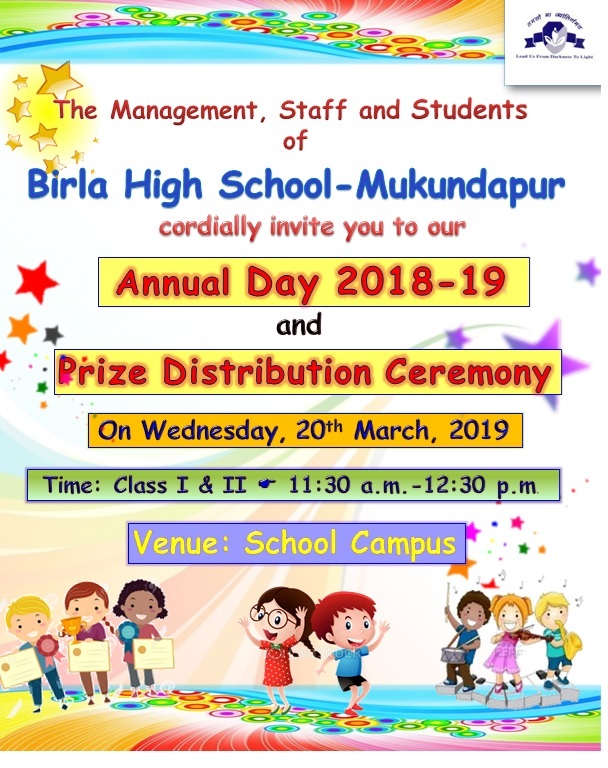 It gives us immense pleasure to host the Annual Day and Prize Distribution Ceremony on 20th March 2019, Wednesday. Nursery and KG-- sharp at 8:45 a.m.
Class I & II-sharp at 10:40 a.m.
Click here to view the invitation card of Nursery and KG. N.B.--The invitation card admits only 2 persons. 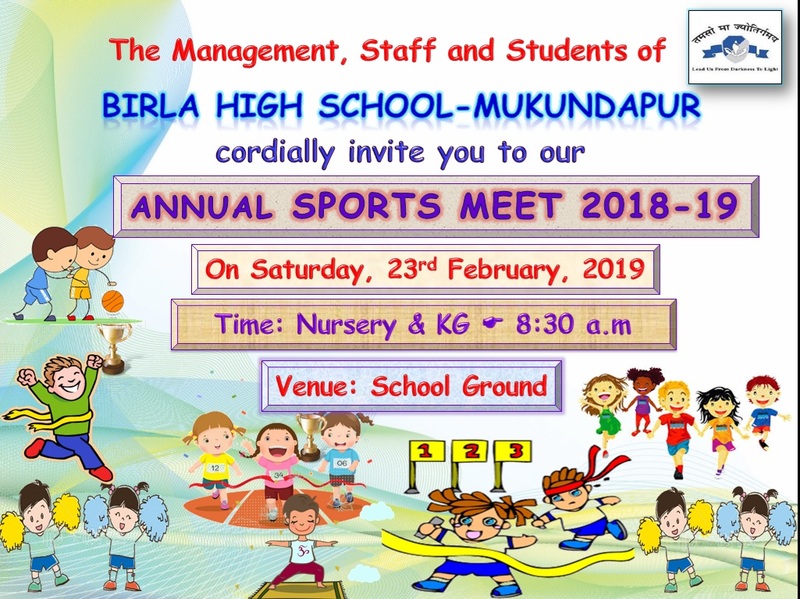 It gives us immense pleasure to host the Annual Sports Meet on 23rd February 2019, Saturday. Nursery and KG-- sharp at 7:40 a.m.
Class I--sharp at 9:40 a.m.
Wishing you a ‘Very Happy New Year’!!! 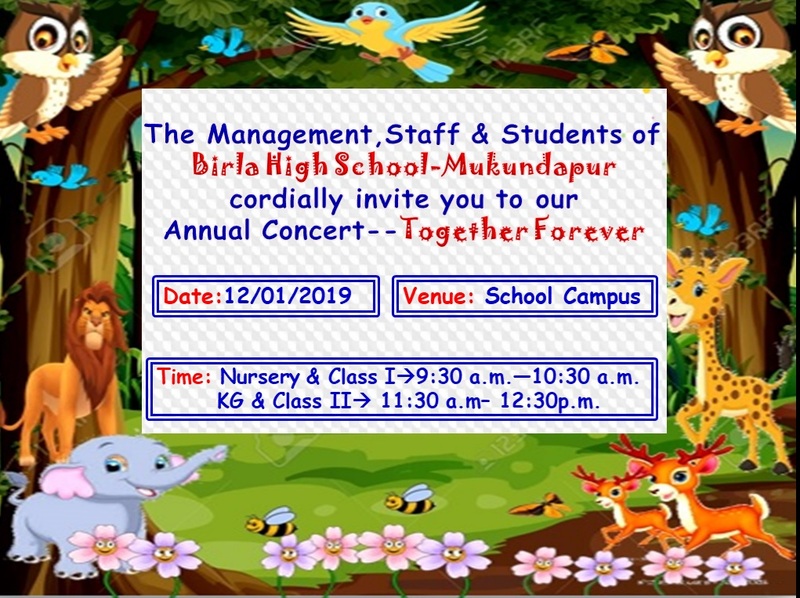 It gives us immense pleasure to stage the Annual Concert, “Together Forever” to commemorate our Founder’s Day on 12th January 2019, Saturday. Nursery-- sharp at 7:45 a.m. Classes I and II--sharp at 7:45 a.m.
Click here to view the invitation card. A Book Fair has been arranged for the students.